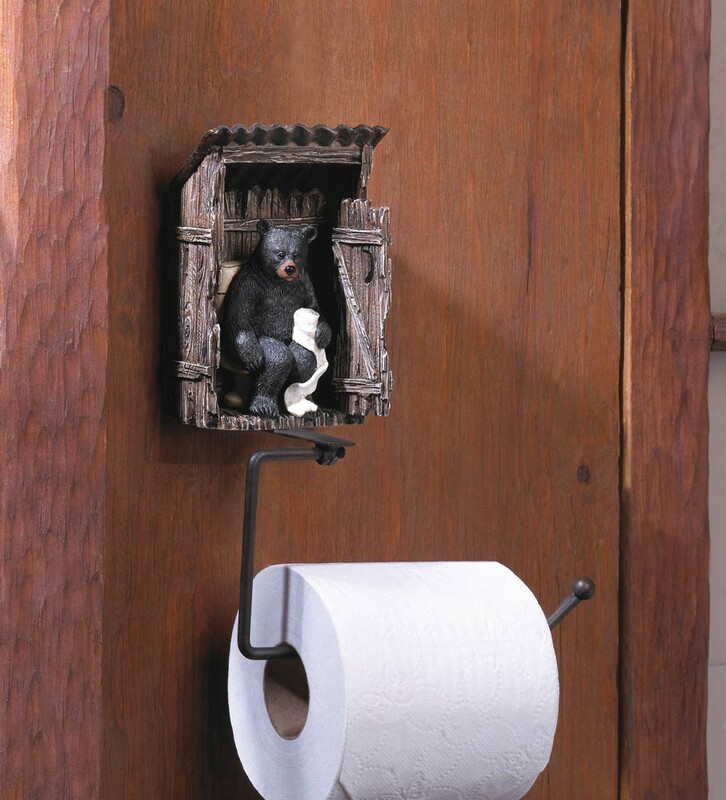 This whimsical toilet paper holder will delight your visitors. 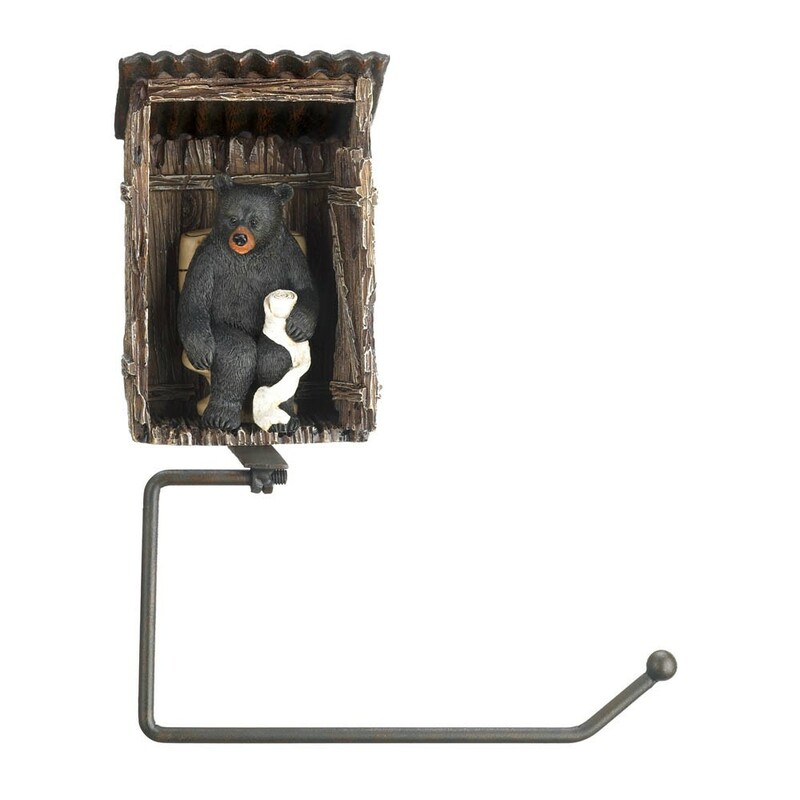 A comical black bear takes a break in his weather-worn outhouse and the paper holder below is made from iron. Toilet paper not included. 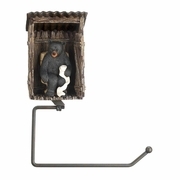 Made of polyresin and iron.